Most people are running away from phone calls, trying to automate human interaction and save some cash. But what if you could take a simple transactional phone call and instead turn it into a meaningful interaction to help people navigate their health care decisions? That’s the type of situation Rajeev Singh, CEO of Accolade, is trying to create. In this episode of HealthChangers, we bring you a conversation recorded live at the Cambia Grove. 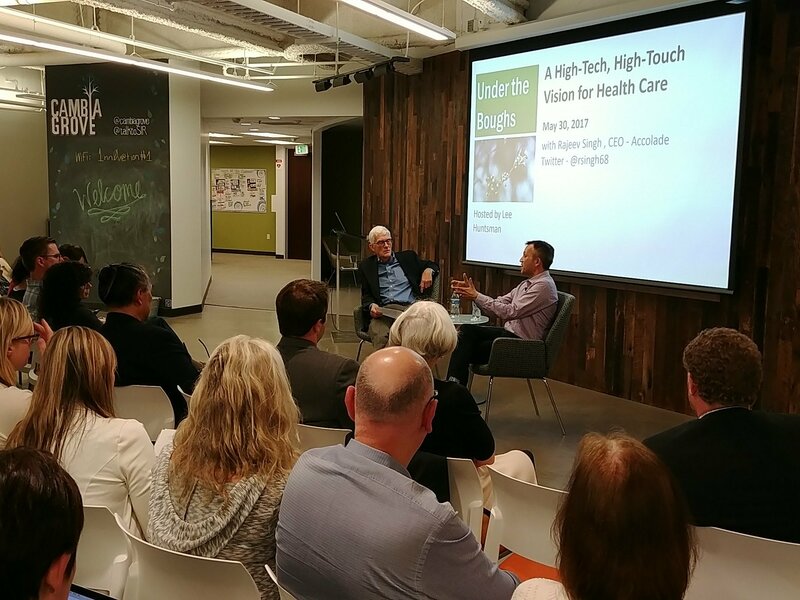 Each month the Cambia Grove hosts interactive conversations with leading health care innovators. This series of events is called Under the Boughs. Recently the conversation focused on how to engage people in their personal health care ecosystems–one of the biggest opportunities and challenges in health care today. 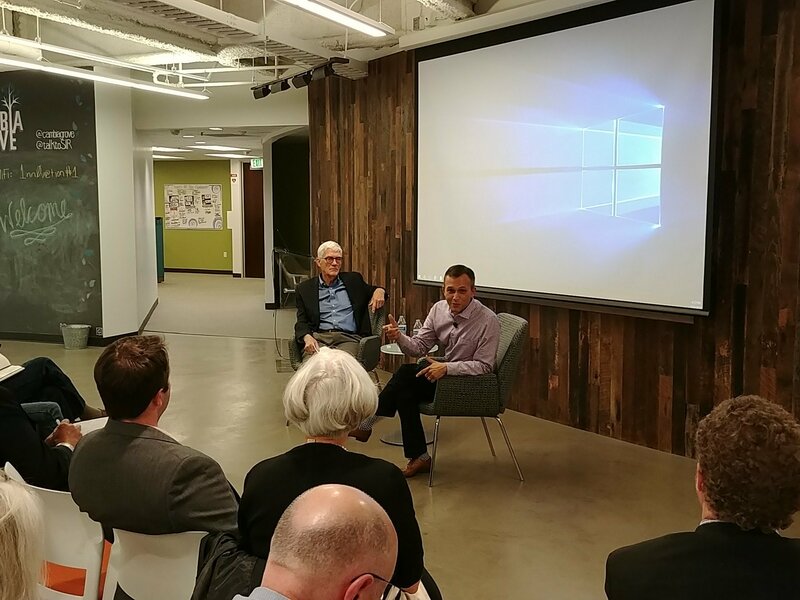 Hosting this conversation is University of Washington President Emeritus, Lee Huntsman and his guest is veteran tech innovator and relative health care newcomer, the CEO of Accolade, Rajeev Singh. Jeremy Solly (JS): Welcome to the HealthChangers podcast, presented by Cambia Health Solutions, where we share real stories of health care transformation from those experiencing it and those helping to make health care more personalized. I’m your host, Jeremy. This episode features a recording from a recent event at the Cambia Grove called Under the Boughs. Under the Boughs is a monthly conversation with health care innovators in the Cascadia region. Rajeev Singh (RS): People don’t identify as their condition. That’s not a diabetic over there. That’s a father of two who wants to go to soccer games, and by the way he has the following co-morbidities and so if what you do is exactly the right thing for any diabetic, you might be doing the wrong thing for that person. 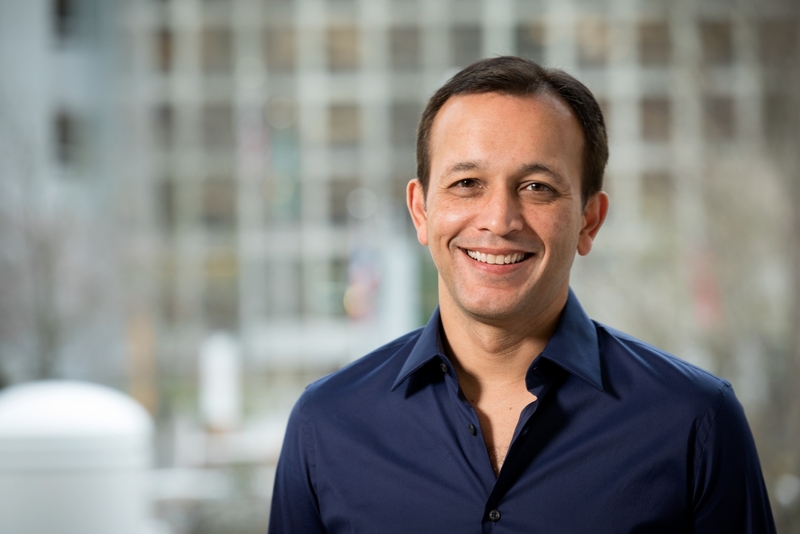 JS: For the last two years, Rajeev has served as CEO of Accolade, a health care concierge company focused on reinventing the health care experience through compassion, science and technology. Before that, he co-founded Concur, a successful corporate travel website. Lee Huntsman kicked off the conversation by asking Rajeev why—after more than twenty years in the travel business—he set his sights on health care. RS: The percentage of my friends who told me that this was the worst idea ever, was 100. Except for one guy, Mike Hilton, who was my co-founder at Concur, and said like, "I think we should do this." Is everybody here working in health care? Can I see a show of hands of how many are in the health care space? Yeah, so I bet you money if I asked your stories, you would say, "I wanted to help people, and I'm really good at something, and that thing, I think I can apply to helping people." That's the same reason you did it, and it's the same reason we did it. We thought, "We know some things, not everything, but we know some things and we can apply those things," and then beyond that we thought this was a space — and we're not the first technology entrepreneurs, by the way, who thought this, believe me, I know that — this was a space ripe for disruption. A space where the consumer wasn't at the center of the ecosystem, even though people were talking about consumerizing health care. And we saw a space that was getting flooded with investment, but that investment wasn't seeing the kinds of returns that otherwise you might expect. And so—this will sound crazy, but here's the way we always thought about it. If you see that set of trends, entrenched incumbents, investments not getting the return they want, misaligned incentives, that's a broken thing, and the only way to achieve something really big is to find something really broken. If you're looking to make changes around the edges this is probably not the space for you. But if you really want to shock a change in something big, all of the attributes for a disruption exist. But here's what we did. We studied for a year. We went to the Valley and we went to company after company after company, and every one of them was struggling with engagement. Every one of them. So every one of these brilliant tech entrepreneurs who we looked up to, was saying, "Don't do it, whatever you do, do not do this, because you can't get anyone to use your software.” And so we built this beautiful, beautiful piece of software, and no one uses it. And so we were lucky enough to stumble upon a company that had already solved the engagement problem, and I really, truly mean that. Accolade was getting, at the time for 600,000 consumers, today for almost a million, was getting engagement rates in the seventies. And so we thought, "Could we combine what we know in technology with what this company has already created, and through some sort of blend, do something great?" 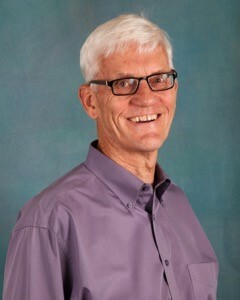 Lee Huntsman (LH): Logical. Now, segue. Tell us about Accolade. What is this company, what's it's history, what are you guys bringing to it, and what's the goal? RS: Fundamentally, here's what the service does. We say, when you call in, you or any member of your family, your employers bought our service, you call in, I give you a dedicated person from that moment on. So you get Raj. I pick up the phone. From that moment, you have my extension. I understand your context. I understand your history. And then when we identify a clinical need, I can actually bring a nurse, right onto the phone, or onto this mobile engagement with you. And so the idea is, in health care you need three core components, right? You have to have a human touch. If all I do is ship you a piece of software and say, "Everything you need is right there," I'm never going to solve the problem. You have to have a compassionate, human relationship. You have to have clinical capabilities because if you don't, you're going to have a really hard time engaging that chronic population that's driving a ton of your costs. And then you better have the best technology, or the best technology capabilities in the world, because this is the most complicated, incredibly-complex set of challenges to solve. And so we thought, you have to weave all three of those things together, in our mind. LH: So your service is rendered to the individual or the family, the patient and his or her support system, is that right? RS: The service is contracted by the employer. RS: So the employer says, "I'm struggling with this challenge." And what we deliver to that employer is typically a more satisfied employee, number one. Number two, cost savings. In the first year, typically employers will see a reduction in trend of about three to five percent. Why? Because if you can engage a member, build a relationship with them, you can help them make good decisions, you can help them comply with care, you can help them take their medications, you can help them understand their options. And all of that, leads to lower costs. And then the third thing, which I think is interesting and maybe unforeseen when we first got here, was that all those tech solutions that we looked at, that weren't getting engagement before we took the jobs at Accolade? We think now that we can weave them together into a single platform. Not that we have to own. But that if you're using a telemedicine solution at your employer, well, that ought to plug right in so that when you talk with someone at Accolade, we can enhance that telemedicine solution. Or we can enhance your second opinion solution. Whatever those things might be. And so the ecosystem should be capable of being enhanced by a center point that really wants the best thing for the consumer. LH: So in the provider world, they talk about care coordinators and other kinds of ways to come along side of patients and their advocates. But, what are you actually doing for these patients? Are you coordinating their care? Are you helping them navigate the administrative and insurance nightmares? Or...? RS: The answer is all the above, Lee. Here's the way we think about it, and I'm going to give you a super-simple example, so forgive me for the super-simple example. When you call us and say, "I need a new card," it would be super-simple for us to just send you the card, right? "Give me the last four of your social and boom, off you go, here's your new card." But now why would somebody pick up, make that phone call, and need that new card? We think every time someone engages, they’re sending a signal that they're about to go into the health care system. “While the whole world is kind of running away from that phone call? We're running to that phone call. That's a signal you're about to do something. Talk to me." And so now this is the most important point. We'll take that phone call, and instead of saying, "Let me get that done in 30 seconds so I can get on to the next phone call," we'll say, "Oh, that's cool, happy to get you your card. Let me get some information. What's going on? Are you about to go to the doctor? Because that's probably why you need the card. You don't need another card to carry in your wallet just for the hell of it." So, "Oh yeah, I'm about to go to the doctor." Now you're starting a conversation. While the whole world is kind of running away from that phone call? "How do I make that phone call as short as possible to get them on to the next thing so I can answer another phone call?" We're running to that phone call. Like, "That's a signal you're about to do something. Talk to me." And if that $10, 30-second phone call becomes a $50, 10-minute phone call, so be it. Because the next step in that health care journey is going to be a hell of a lot more expensive, so let me help you make a good decision. And that good decision could be as simple as finding a primary care physician, it could be something more complicated. "I just found a lump in my breast. What do I do?" Now that's more complicated, I better get a nurse on the phone. LH: This is stunning, in a way. Because most of the consumer-interaction world is trying to implement bots as fast as they can, to minimize the cost of that call. RS: You cannot do that. RS: It's three trillion dollars! We're spending three trillion dollars on health care. It's 20 percent, 19 percent of GDP. Right now, our biggest customer spends two billion dollars a year on health care. If you can save that guy three percent, two percent, like, the numbers are stupid, but you get into things like medical loss ratio, where people are trying to figure out, "I cannot have the administrative costs so what can I, should I do? Let's make everybody self-serve, because it's cheaper and then I got my profit margins are over here on this side of the medical loss ratio." RS: Well, that's great, except people don't want to self-serve health care! When your dad's sick or your kid's sick, and it really matters, I don't want to look this up on Google, like I need someone to help me! And so the key is, if you're unencumbered, disruptors often times are unencumbered by all of the things that the industry has had to deal with in the past. We think you have a chance to break the paradigm and start over. And yeah, absolutely the business model can work. We're still early, I mean we're not a startup by perchance, or...But we're still pretty early. It's too early to say that this is going to work and we're going to be a great multi-billion dollar company, but the stakes are so big in terms of the cost that you could charge a lot of money and not, and still have great year one return. LH: Well, let's go into that a little bit. You've given some sense of what you're going to do for me as a patient. “Your employees and their families, are going to love it. Like, love it to the point where 98 percent customer satisfaction, and they'll scream if you try to take it away from them." LH: Right? But tell us again, who are your customers? Today, who are your customers tomorrow, and what's the value proposition here, exactly? How does it work? RS: For a company like Comcast, you know, employees all over the country, multiple carriers, and all sorts of solutions that they've strung together. They've got a telemedicine solution from a company called Doctors On Demand. They've got Centers of Excellence in New York, Philadelphia, I think here in Seattle, and Orlando. They've got a second opinion service called Grand Rounds that they use specifically, they're really focused on joint replacements and spinal surgery. For a company like that, if we can engage their employees, and drive a three to five percent cost savings, we're saving them literally in the neighborhood of 30 to 60 million dollars a year. And those numbers get better as time goes on. So answering your question, Lee, we're going to large employers and mid-size employers and saying, "Hey, I think I can drive your medical trend line down by three to five percent in the first year, I think I can do better than that in year two, and hey, you know what? Like a nice side benefit of this, is your consumers, your employees and their families, are going to love it. Like, love it to the point where 98 percent customer satisfaction, and they'll scream if you try to take it away from them." And that, so we don't, because it's a business-to-business deal, because we're selling to employers, if I walked in and said, "We're going to make your employees really happy," people are like, "Well, it's kind of interesting, but go away." If on the other hand we say, "I'm going to drive three to five percent cost savings in year one, and your employees are going to be really happy"? Wow, we're getting some interest. LH: Well, so that leads logically to the question of, okay, you're getting the attention of self-insured employers who see your value proposition and are willing to contract with you. But, to what extent does Accolade, or the patients with whom you're interacting, have to then deal with the provider world, and all the complexities there? What reactions are you getting from the rest of the ecosystem? RS: I would say this. There are many, many incumbent providers in this space, among them companies, and I'm not just saying this because I'm here, but a company like Cambia saying over and over again, "We're going to reinvent the health care experience, and that we don't care what that does to our core business if we have to disrupt?" That's a bold and very courageous thing to say. There are a number of companies out here that want to. There are others, less so. And so do they typically react with open arms and a bunch of joy when Accolade arrives? Not always, not always. But this is the nature of innovation, this is the nature of disruption. We have to be cozy, and everybody in this room has to be cozy. If we want to make this better, some people have to get uncomfortable. And if what we really want to do is just make sure everybody's happy, then we're going to get the same, too-expensive, poor-outcome system that we have today. LH: It seems to me that when a provider switches from fee-for-service, to something like a capitated model, suddenly they're on the same side of the cost-saving table as the employers. RS: Absolutely, 100 percent right. And those who are really pushing the envelope here, and by "really pushing the envelope" I mean the ones who are really putting dollars at risk on big things, are very much trying to figure out...Because they're brilliant, I mentioned, health systems are brilliant at managing the consumer that, I don't...sorry, I don't always call them patients, I really think of it as "the family," like we think of them as "families," you get one person for your family, because health care is a family experience, and so health systems are great at managing that family inside the four walls of that health system, managing the event. But the event occurs and then life occurs and then there's another event and then life. Life is oftentimes more complicated than the event, and so helping people manage through the rest of that, because you're not necessarily there just for the event but you're there for the longitudinal relationship with that family, those health systems are going to have to figure out how to own that consumer relationship, either via companies like ours or on their own, not just at the event, not just at the moment, "Did you take your medication?" You know, "Here's what you need to do now, I'll see you in a few weeks," but over that few week period in between visits. “I think, for the first time you have CEOs and CFOs saying, ‘I'm done. I'm done. This has to stop and if somebody else isn't going to solve the problem, I will solve it.’"
LH: Raj, let me ask the question that comes back to some of the basics here. I have argued for some time that, politics aside and the Affordable Care Act and all the things they get in the newspaper ink, the biggest single factor arguably has happened to health care in the last 25 years is the movement by employers to self-insurance. LH: We have a lot of those employers move to self-insurance, and simply said to their brokers the same old thing, "Go get me the best deal you can." So there's two parts to this, which is, they moved to self-insurance and then they realized that they don't have to do it the old way. They can demand change. They can negotiate for different approaches. It seems to me that your business model requires at the moment, those self-insured employers to have taken that second step, to actually be engaged in what's going on, and what things really cost. Because you say, "I'm going to reduce your trend line by three to five percent," but there's a fair number of employers out there that don't know what you're talking about, in terms of the trend line, right? RS: This is fascinating, right, this is the...So I ran a company, a self-insured employer, for a long time. And I was one of those guys! Didn't know. So there was one meeting a year, I was a, I'm a pain in the neck about budgets. I am a freak about how we spend money. One meeting a year, someone will come into my office and say, "Yup, it's going up seven percent!" And I'd say, "But wait!" And they'd say, "Nope. It's seven!" "Can we make it six?" "Nope, it's seven." And I'm, I'd like to think of myself as a relatively intelligent person, and I let that happen for year after year after year. So we have to change that. I was at a CEO forum with a bunch of, call it Fortune 500 CEOs and CFOs, about a year, almost two years ago, before I joined Accolade. Number one topic being discussed was health care costs. RS: Number one topic. And so the world is grasping ... Not that there's an answer, because we're too small to be able to say we've solved the problem. I know that. But I think, for the first time you have CEOs and CFOs saying, "I'm done. I'm done. This has to stop and if somebody else isn't going to solve the problem, I will solve it." And that is leading to things like, you guys have all heard of the Health Transformation Alliance? A whole bunch of employers like Walmart joining together and saying, "We have six million people now, we're going to demand some change." They're not all going to work, but the world is changing. I really believe that. To that second kind of CEO, who's saying, "I better dig in and take a look around." LH: Okay, so let's switch a little bit now from the health aspect of this to the specifics of Accolade. What are you learning in the middle of this, that might inform an audience like this? This is a room full of people with all kinds of entrepreneurial goals related to health. Are you seeing any lessons? RS: Huh. Whenever people ask, "Are you seeing any lessons?" I think, my first reaction is, "Well, you get kicked in the shins in this space a lot." Have you noticed? Because I'm bruised all the time. Not just the shins! It's not a space that's always welcoming of newcomers nor of innovation that wants to push on things. Here's what we are learning. Technology alone will not solve this problem, must have a human relationship engaged. In some way, shape or form, a human relationship must engage, or you will lose the consumer somewhere in the journey. And when you've lost that family, and they go away, they're going to make bad decisions and their life's going to get more complicated. Not because they're not smart, not because they don't want to make good decisions. Because it's too damn complicated, for them to make a good decision. So that would be one. Two is — this is going to sound super trite, so forgive me. I don't intend for it to. People don't identify as their condition. Like, you know, hat's not "a diabetic" over there, that's a father of two, wants to go to soccer games, and doesn't identify as a diabetic and by the way, he's got the following co-morbidities and so if what you do is exactly the right thing for any diabetic, you might be doing the wrong thing for that person. A lot of what we're doing is saying, "How can I identify with all the context that we collect in our conversations?" via the conversation. You can find out that they're not getting their medications via the claims data. But when you have a conversation with them, you can find out that their husband just lost their job, and their kid's got asthma, and now, you can ask a really fearless question. "Are you buying the meds?" And the answer is, "No, I'm not buying the meds because I can't afford it, but I was too embarrassed to tell my doctor. I can afford my son's meds but I can't afford my own. I was ashamed to tell the doctor I couldn't afford my meds." I swear, this stuff happens every day. Listen to a phone call, like listen to a day worth of phone calls? That's what you hear. There's a gold mine of information in context. And so, all I would say from a learnings perspective? We've spent a bunch of time studying the normalized data that exists in this industry, and everybody's searching the normalized data trying to find a trend. Like, "Can I find, can I do a three percent better job of finding a pre-diabetic and catching him, and then engaging him?" Like, man, the industry's spending billions of dollars to answer that question. What if we could answer the question of how to manage conditions better by understanding the context of that person's life? We think there's a gold mine there, but you're going to have to then find the context. And then, the last point. Open ecosystems. Like, you have to be open. We should demand of everybody in this space, that if you have a dataset, create a — the consumer has to agree to it, the buyer has to agree to it, the employer has to agree to it, but the idea of opaque, closed-off datasets, is absolutely antithesis to innovation, 100 percent antithesis to innovation. And we should demand better. And we're not doing a good enough job of that. And by "we", I'm talking about employers, I'm talking about payers, I'm talking about people who want better outcomes but aren't willing to have hard conversations. LH: Move everybody more towards the top of their pay grade, so to speak. Right? “I'd have done the same thing every other technologist did, every other time. ‘I'm going to beat every other technologist who's really getting five percent adoption. If my color scheme is different, I will nail this!’"
RS: And Lee, keep in mind, I grew up in technology. The reason why Accolade was a revelation to me is, I never would have built it. I'd have done the same thing every other technologist did, every other time. "If I just build a better mobile app, like it's just if I could gamify this thing, so you got ten extra bonus points or a Starbucks card if you identify? If I could do that, like a little bit of that, then boom! I'm going to beat every other technologist who's really getting five percent adoption. If my color scheme is different, I will nail this!" That would have been me. That totally would have been me. Luckily enough I bumped into somebody who had solved a problem and I saw it, and I thought, "Wow, that's so smart! How, why am I so dumb, not to have thought of it?" And so yeah, that is the answer, and I'm telling you the answer, because it is the answer. It's just you have to have the courage, I think, to chase that answer and it's pretty expensive. It costs money. And I think there's a lot of players in the space right now who want that answer but don't want to spend that money. LH: Do you want to have any last-minute advice for a community of innovators? RS: I think you've chosen this incredible path. This is the hardest thing. I've worked for 25 years in technology. I'm almost two years into this journey. Hardest thing I've ever done in my life. But exhilarating. Like, exhilarating. I mean, it's unbelievable. There are days where, you know, I get a phone call or an email from an actual consumer of health care who says, "You actually saved my mom's life." Beat that, in travel or wherever else you want to be. Like, I get it, health care is insanely complicated. But the answers here, some of them are pretty obvious, and we know why they're not getting solved. We should do better than that. LH: All right. Raj, thank you. Thank you. Thank you, very much.